Luck is made of different stuff I thought, but this guy has a different opinion. Should I cry or should I laugh? Now go to last Sunday’s edition of The Sunday Times of Malta. 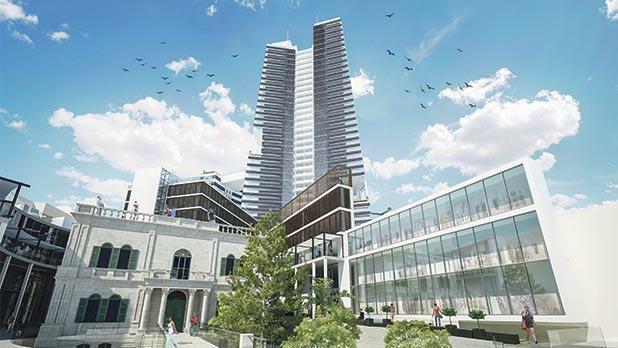 It carried an interview with a director of Townsquare Sliema Ltd, the company of the big-moneyed bullies who want to build a monster of a skyscraper in the middle of Sliema. Like the bully in the beginning of this piece this gentleman wants us to believe that we, the common people of this country, should be thankful for what they will be doing. And for all this we should be thankful as all this is for our good. He said that they are going to give the open space “which Sliema has always needed. … this is the best option for Sliema.” And later he said that they changed the plans to accommodate the residents. The gentleman conceded that “there will be some disturbance”. But why should we complain since this is all for our good? Just a little patience while the monster is built. So tagħmlux għageb please. Don’t be ungrateful Maltese gemgem. Just be a little patient so that these people can line their pockets with more gold then they already have. All this is for our own good. These big-moneyed bullies are so kind hearted after all. We all love you so much. Thanks for beating us senseless only three times a week.